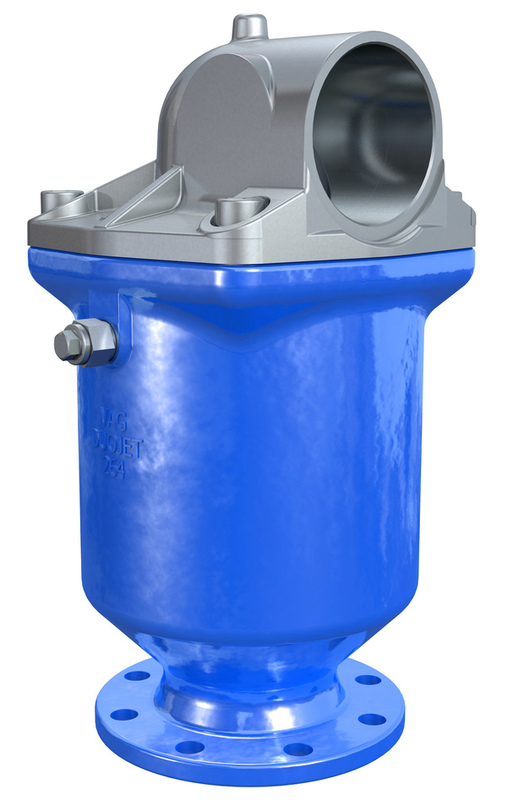 40% higher performance than standard air valves: High-capacity, single-chamber air valve with triple function for venting and releasing air in pipelines as well as for releasing air during operation. Corrosion-proof due to stainless steel inner parts and float made of plastic. Safe and reliable operation even at high air-release velocities of up to sonic speed. Suitable for use in water treatment, water distribution, in dams, power plants and in industry. The full-bore design with nominal diameter equal inlet, passage and outlet flow area increase the performance about double higher than the standard Duojet valve.